Radish butter spread is the perfect spread for Spring. When Easter rolls around, I know that this radish butter recipe will be the beginning of a wonderful day. Easter is the beginning of Spring and warm weather. For me, that means the beginning of some of my favorite fruits and vegetables. Radishes are one of them. While growing up in England, we often had radishes dipped in butter and then sprinkled with sea salt. There is something special about the combination of the heat from the radishes and the sweet butter. Both of those flavors set off by the salt. Yum. Not being sure if my family and friends would be excited about dipping a whole radish in a bowl of butter, I decided to make this radish butter spread. This spread will make your mouth sing! You will know it is spring when you take a bite of this spread. Not sure what to spread your radish butter on? There are many salts you can top your spread with. I love using Himalayan Pink salt and sea salt flakes. You can usually find them in your local grocery store, but you can also find them on Amazon where I am an affiliate. Radishes are so good for you too. Did you know that they are cooling to your body? What better reason to grab one and pop it in your mouth? They are also super low in calories. So, if you are watching what you eat, radishes should be on your list of clean eating snack. Sweet creamy butter and spicy radishes make the perfect spread for crackers or bread. Easy and fast. Grate the radishes. It will help to keep the stems on the radish while grating. You have a little something to hold on to! Mix the grated radishes with the softened butter. Refrigerate for about an hour and then enjoy. You will find a lot of uses for this radish butter spared. As I stated earlier, my favorite way to use it is slathered on a nice piece of whole wheat bread with a slice of good cheese. Havarti or swiss are my favorites. 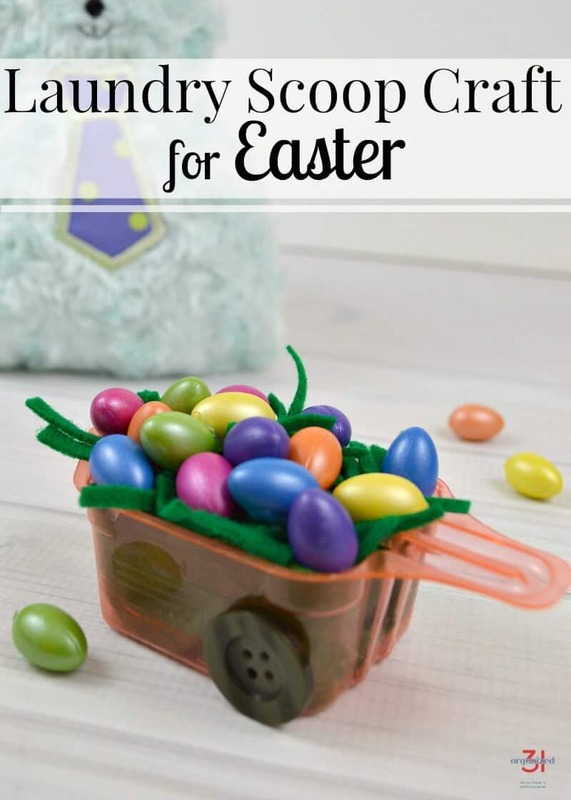 While you are waiting for the big dinner, grab those laundry scoops you have been saving and make a couple laundry scoop crafts. Susan, over at Organized 31 has a tutorial for you. Do you love radishes like I do? Then you might want to check out this recipe for Roasted potatoes and Radishes. So delicious! Now you have the family snacking on radish butter spread and making laundry scoop crafts. What is next? 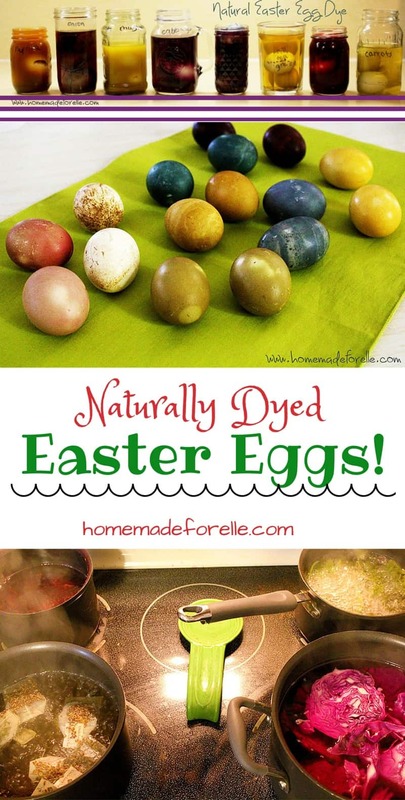 Make some homemade easter egg dye, of course! Andrea from Homemade For Elle shows you how. I can’t tell you how intrigued and excited I am about this radish butter spread. I adore radishes but have only every eaten them fresh. I think this recipe will quickly become my favorite afternoon snack. Susan, I am glad you would like to try this spread. I think you will enjoy it. Andrea, thanks so much for the compliment. I enjoy this butter and hope you do too! Sorry I didn’t finish my comment, I love unusual ways of using vegetables, and I love the British foods that I am learning about. Rose, as someone who loves Victorian things as you do, it does not surprise me that you love British foods. I think you would enjoy this. Thanks for stopping by.